Flash Aid: Pushing the limits of emergency medical response by crowdsourcing community first responders. 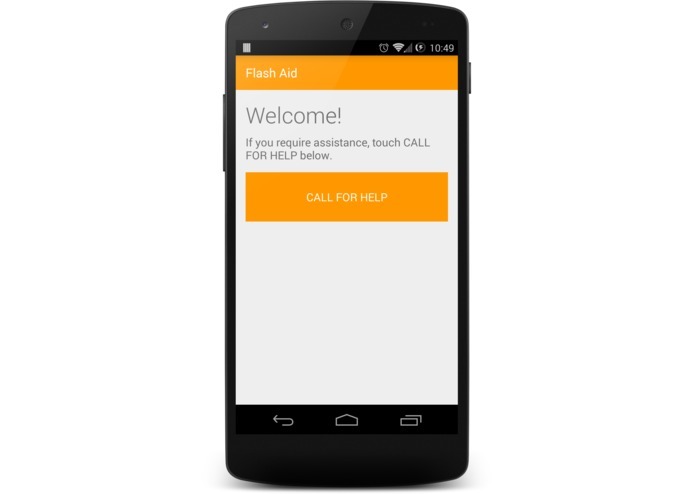 Flash Aid enables all members of any community to seek and offer emergency, life-saving medical assistance. Inspired by disheartening statistics of emergency medical response times and performance, we created Flash Aid as a solution to provide faster emergency response to those in life-threatening situations. Flash Aid enhances the emergency medical response time of a community by crowdsourcing citizen first responders. Users may register for the app, enabling them to both offer their assistance or expertise to others in their community, and request assistance from other community members. In the event of a real medical emergency, members of the community that are CPR certified or carry an EpiPen, for example, can often respond significantly quicker than can an ambulance, saving valuable minutes and potentially saving lives. 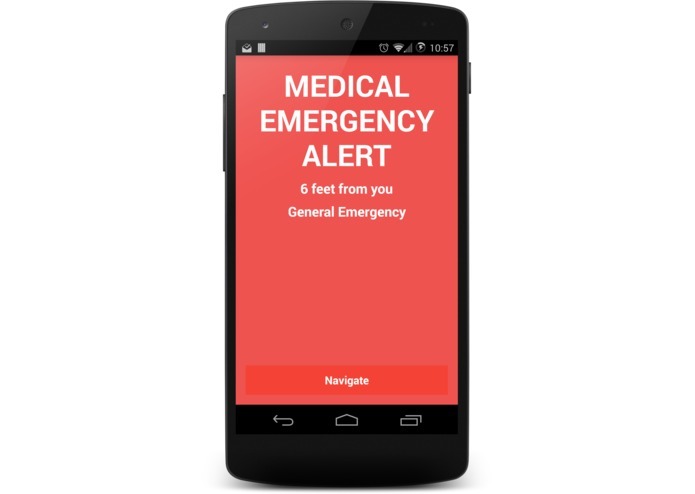 A user experiencing an emergency or a bystander can request immediate medical assistance, and the system will instantly alert nearby citizen first responders and assist them in navigating to the emergency. The application will then automatically call the local emergency number (911) for professional medical assistance. The entire process takes less than 15 seconds to complete. Without blood flow to the brain, permanent brain damage or death can occur in less than 8 minutes. The typical target response time for a 911 call is approximately 9 minutes. In the optimal case where the ambulance actually achieves this response time, permanent brain damage may have already occurred. 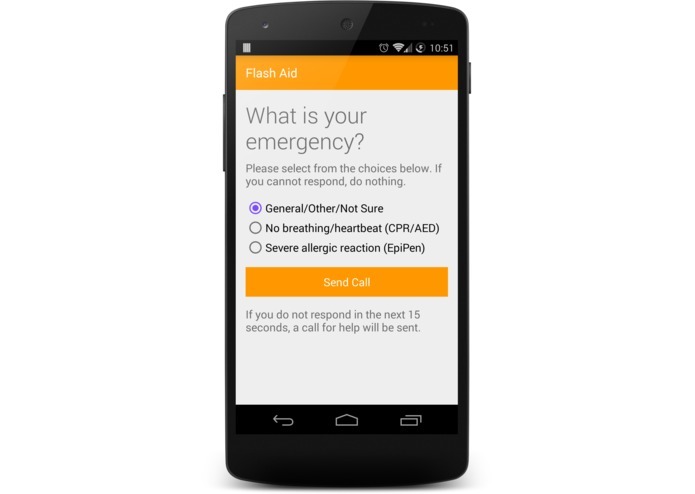 Flash Aid enables citizens to respond to emergencies when an ambulance cannot. Flash Aid has the potential to save lives. When every minute counts, sometimes 9 minutes just isn't acceptable. Source code for the project is available on GitHub here: https://github.com/sduddikunta/flash-aid.